Demons & Spirits & Zombies, Oh My! While Halloween is traditionally a Western holiday, Asia certainly doesn’t lack for ghoulies, ghosties, long-legged beasties, and things that go bump in the night! To celebrate the spookiest day of the year in the United States, we stopped stuffing our faces with candy to bring you four of our favorite monsters from Arabic, Chinese, Japanese, and Korean mythology and folklore. Read on...if you dare. Thought to originate from Yemen, the nasnas (النَّسْنَاس‎ an-nasnās) is a monstrous creature in Arabic folklore. The nasnas is considered a lower form of jinn (الجن‎, al-jinn), the supernatural creatures better known in the Western world as genies. Unlike jinn, who lack corporeal form and appear as shadowy ghosts, mists, or sandstorms, the nasnas looks like a human being cut down the middle, with half a head, one arm, and one leg, on which it hops at great speed. They stand tall and upright, possess demonic features, and are sometimes described as having the tail of a lamb. 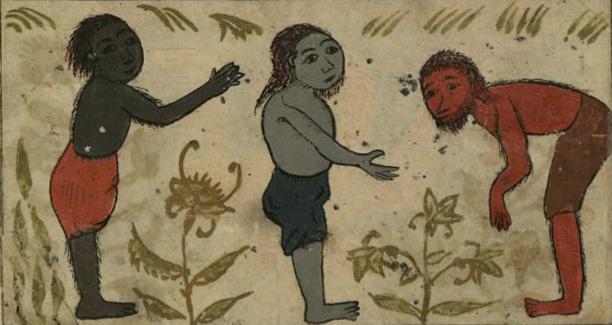 In some Arabic folktales, nasnas were a tribe of people who were punished by God for turning their backs to the prophet, transformed into monsters that hopped like birds and grazed like animals. 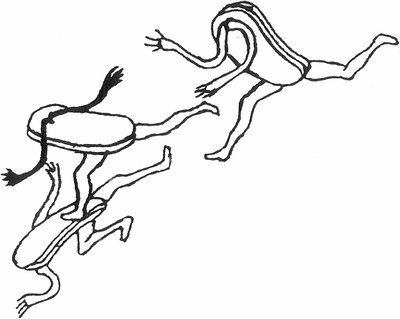 Other tales claim that the nasnas is the offspring of a human and a demon called a shiqq (الشق). Despite their fearsome appearance, there are many conflicting accounts about the nature of the nasnas. In the story “The Sage and the Scholar” from One Thousand and One Nights, a character who is transformed into a nasnas is regarded as a harmless curiosity by the humans he encounters. In other tales, nasnas terrorize humans and carry them off. Either way, we’d rather not meet one! Thud - thud - thud. In the past, one of the most terrifying sounds you could hear late at night in China was the rhythmic sound of an approaching jiangshi (僵尸 jiāngshī). These reanimated corpses bear certain similarities to both zombies and vampires--in fact, the word 僵尸 is often translated as either “zombie” or “vampire”--but they have a unique way of getting around: hopping! Daoist priests supposedly learned to raise the dead so that they could lead bodies back to their hometown for burial, resulting in the creation of jiangshi. Jiangshi remain compliant as long as a paper seal stays on their forehead, but if that seal is broken, they seek out humans so they can bite them and steal their life force (气 qì). Nowadays, hopping jiangshi are more campy than scary. In fact, some of the best kung-fu comedies to come out of Hong Kong are the Mr. Vampire (僵尸先生 Jiāngshī Xiānshēng) movies, which mine the premise of these monsters for comedic effect while showing off some impressive fight choreography. For those of us untrained in martial arts and Daoist secrets, there is a simple way to avoid detection by a jiangshi: just hold your breath! Jiangshi are blind, and they are attracted to the qì in their victims’ breath. Despite its somewhat comical name, the egg ghost (달걀귀신 dalgyal gwisin) is one of the most terrifying creatures in Korean mythology. Its name comes from its complete lack of discernible features. 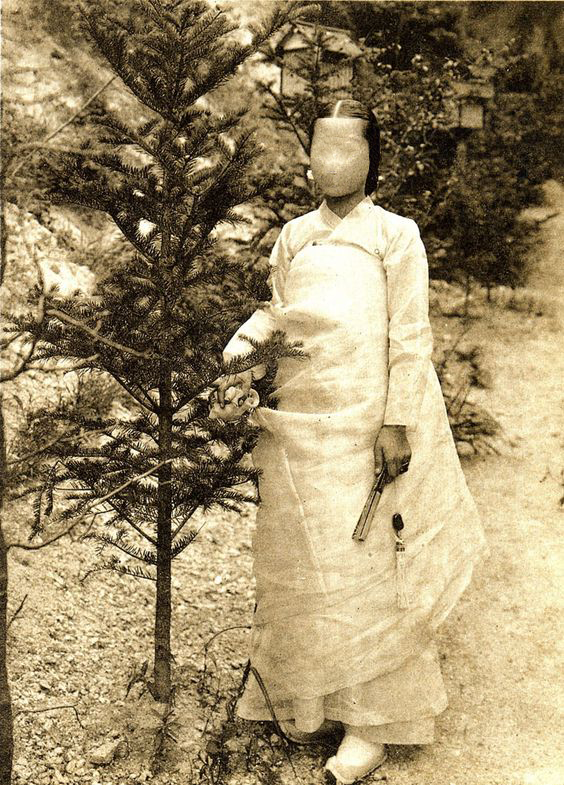 Unlike other Korean ghosts, who tend to retain human traits even in death, egg ghosts don’t have eyes, ears, noses, or mouths, making their heads appear as round and smooth as an egg. Some egg ghosts lose their arms and legs, too. How anyone knows that, however, is a mystery--legend has it that if you look at an egg ghost, its pale, blank visage will be the last thing you ever see. Egg ghosts are said to stalk hikers who wander too deep into the densely forested mountains of the Korean peninsula, visiting instant death on anyone unlucky enough to cross paths with them. While no one knows exactly what unfinished business keeps egg ghosts tethered to our world, it is speculated that they are “childless ghosts” (무자귀 mujagwi), with no descendants or relatives to hold ancestor memorial services (제사 jesa) for them. While hiking has exploded in popularity in South Korea, it might be best to stick to the beaten path or stay home altogether, just in case. But then again…what if things that go bump in the night are in your own home? Japanese folklore is well-known for its rich tradition of spirits (妖怪 yōkai), but of all these mischievous and malevolent entities, perhaps the most fascinating are the tsukumogami (付喪神 or つくも神). Tsukumogami are ordinary household objects that become alive and self-aware, either through possession by spirits or as a result of being used for 100 years, though some traditions hold that objects can animate themselves on their 99th birthday. These days, few household objects last long enough to gain sentience. In ancient Japan, however, it was more likely that a futon could be passed from generation to generation until it became a boroboroton (暮露暮露団 or ぼろぼろとん), or that a mirror might turn into a ungaikyō (雲外鏡 or うんがいきょう). Thankfully, so long as an object has been treated gently and kept in good condition, it won’t do anything bad to its owners. Still, you might want to dust off your great-grandmother’s tea set and fix the spokes on your umbrella. A tsukumogami that perceives its owner as wasteful or neglectful might decide to leave the house or even turn violent. Tsukumogami continue to play a significant role in pop culture. In particular, the kasa-obake (傘おばけ), or umbrella ghost, frequently appears in video games and anime. The creators of the Pokémon series also seem to have drawn inspiration from tsukumogami. From nasnas and jiangshi to egg ghosts and tsukumogami, there is nothing new about our fear of and fascination with monsters. Through the ages, every culture has had its own unique take on the monstrous, and while some of these monsters are positively ancient, they continue to capture the imagination of people today. What is it that draws us to the terrifying, fantastic, and grotesque? From everyone here at Cheng & Tsui, have a safe, fun, and spooky Halloween!